One of the most popular and enduring ghost stories in the Chicago area involves the spirit of Resurrection Mary, who supposedly wanders the streets around Resurrection Cemetery in the city's southwest suburbs. In the 1920s and '30s, there were several popular dance halls along Archer Avenue, not far from the cemetery, and a few still remain, including the Willowbrook Ballroom, just a short distance south of the cemetery. According one version of the legend, Mary enjoyed going to the dance halls. One night in the early 1930s, she left one of the halls and tried to cross busy Archer Avenue. She was hit by a passing car and killed, and was buried in her favorite dancing clothes in nearby Resurrection Cemetery. Ever since, there have been reports of a ghostly female figure wandering along the road near the cemetery. But, unlike most ghosts who prefer to keep their distance and not make contact with people, Resurrection Mary seems to enjoy human contact. Some of the most popular and oft-repeated stories about Resurrection Mary come from men who meet an attractive woman at one of the dance halls. After spending the evening with her, they offer to give her a ride home. She tells them that she's the daughter of the cemetery caretaker and lives on the grounds, so they drive her to the cemetery. They stop the car, Mary gets out -- and disappears. Some have reported that she walks toward the locked cemetery gates and fades away. Others have said they get out of their car to open the door for their passenger but, when they reach the other side of the car, she's gone. Others have reported seeing the ghostly figure walking along Archer Avenue. Some have reported that she jumped out in front of their cars and was hit -- a "residual haunting" in which the victim re-enacts, over and over, the events of their death. When the drivers stop to see if the woman they hit has been injured, they find no one there. For those who believe in Resurrection Mary, she has left behind absolute proof of her existence. According to this story, in the mid-1970s, a cab driver was passing the gates of Resurrection Cemetery late at night when he saw a young woman standing inside the locked gates, with her hands on the bars. Thinking that she had been accidentally locked inside and couldn't get out, the cab driver called the police. When the police arrived, however, they found no sign of the trapped woman -- but they did discover that two of the bars of the cemetery gate had been pried apart, and the metal was seared with the permanent impressions of a pair of small, delicate hands. One of the bent bars can still be seen on the main gate of Resurrection Cemetery, but there is no sign of the small handprint. Cemetery officials explain the incident by saying that a truck driver accidentally backed into the gate. There have also been reports that Mary returns to dance at the Willowbrook Ballroom. Men at the dance hall reportedly meet an attractive, mysterious woman wearing clothes from the 1920s. The woman is usually described as having long blonde hair and wearing a flowing white dress. After dancing and spending some time with her, they turn away briefly. When they look back, the woman is gone. The Willowbrook Ballroom has its own colorful history. It was first opened in 1921 as an outdoor dance pavilion by John Verderbar, an Austrian immigrant. Verderbar purchased five wooded acres on Archer Avenue with plans to construct a vacation home. His son, however, was a frequent customer at the ballrooms and dance halls around the Chicago area, and he convinced his father to open an outdoor dance pavilion, which was originally called Oh Henry Park. Offering the unique opportunity of "dancing under the stars," the ballroom was an almost immediate success -- to the point that Chicago bus lines changed some of their routes to provide direct service for city residents. During the 1940s, at the height of the Big Band era. Oh Henry Park attracted 10,000 dancers every week, and presented the nation's top orchestras and band leaders, including Ozzie Nelson with his lead singer Harriet Hilliard, Harry James, Count Basie, Guy Lombardo, Jimmy Dorsey, Bob Crosby and Glenn Miller. 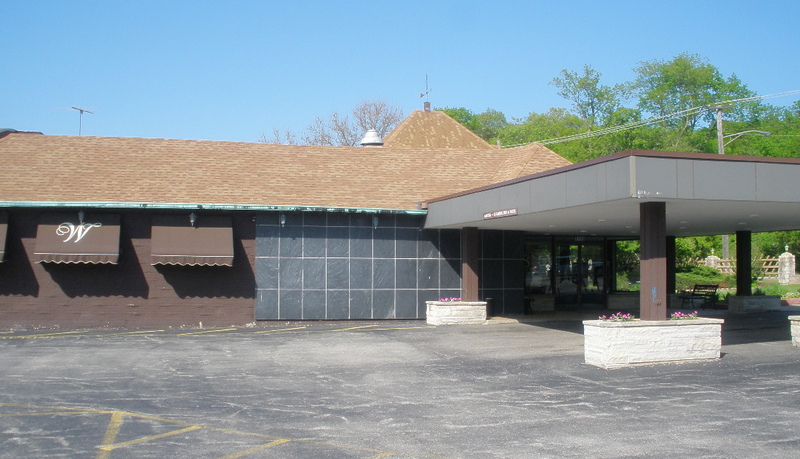 In the 1950s, Oh Henry Park expanded with a restaurant and kitchen, and a private room for parties and banquets, and was renamed the Willowbrook Ballroom. As musical tastes changed, the Willowbrook attracted a new generation of entertainers, including Chubby Checker, the Buckinghams, Otis Day and the Knights, Martha Reeves and The Village People. After nearly 100 years of continuous operation, the Willowbrook Ballroom is still a popular dance destination in Chicago's southwestern suburbs, and hosts dance events and lessons, from country and western to salsa. Another mystery in the Resurrection Mary story revolves around who she was in life. Various books and other sources cite various names for the mysterious Mary, but there is no conclusive evidence as to who she was. Most agree that she was a young woman, loved to dance, and was killed either in an accident or after being struck by a car on her way home from one of the dance halls. If you happen to stop at Resurrection Cemetery in the search for Mary, you might want to go across Archer Avenue to visit Chet's Melody Lounge. It's fairly easy to find. Just look for the "Resurrection Mary Drinks Here" sign in front. Obviously, Chet's embraces the Resurrection Mary legend, even hosting special events devoted to her, and including "The Ballad of Resurrection Mary" on the juke box. Chet's also sells Resurrection Mary T-shirts. The story of Resurrection Mary is similar to many other ghost stories catagorized under the "vanishing hitchhiker" label -- a mysterious stranger is seen along the road, asks for a ride, then disappears. But, for some reason, the legend of Resurrection Mary has endured for more than 70 years. And the sightings and stories continue.